FiNZ 29 – Would you like cheese with that wine? I’m currently curled up on the couch, very happy for my apartment flat and hot water. It’s been a pretty epic 3 days on the Routeburn track. 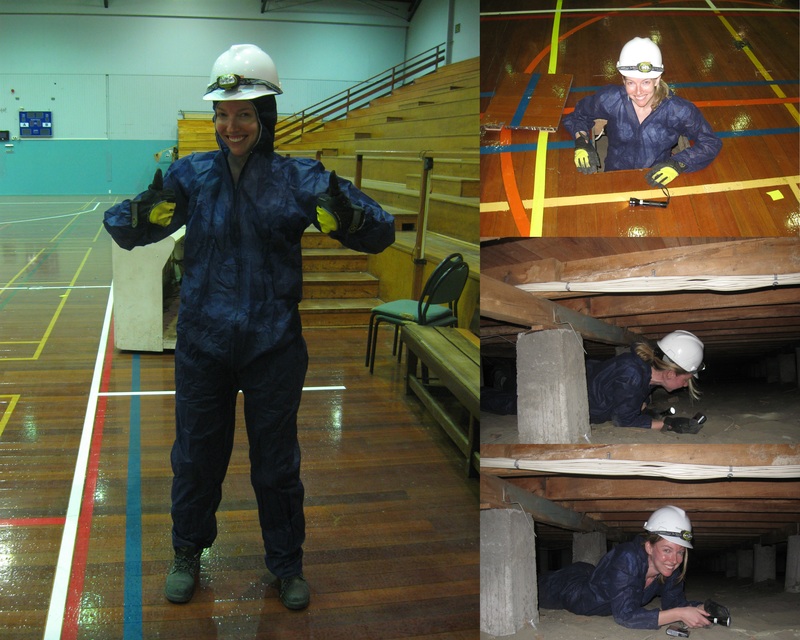 In order to get that post up later this week (look for that soon – fabulous photos warning! 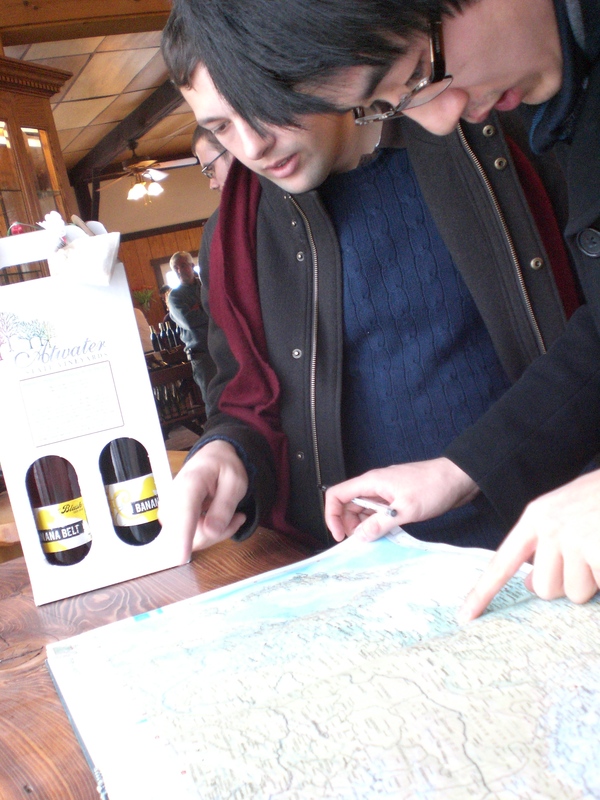 ), lets back track to our weekend of wineries. My coworker asked me for advice on going up to Blenheim to visit the wineries. 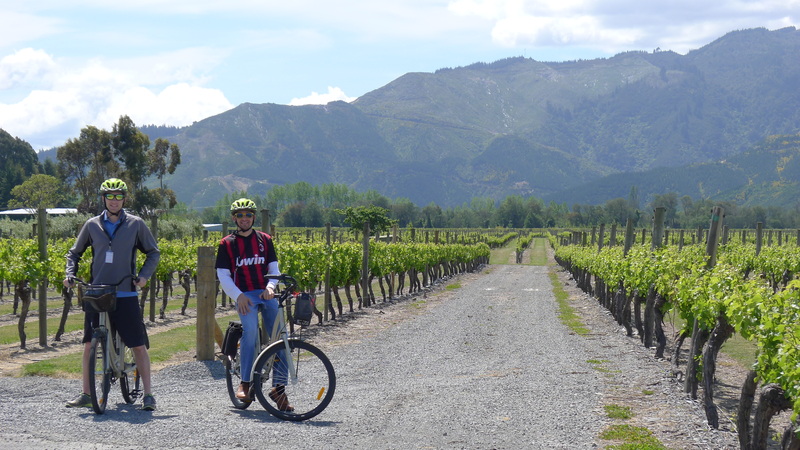 I had to exclaim that despite living in New Zealand for, now, over a year total, I had never been wine touring in Marlborough (the home of original New Zealand wine). I may have then continued invited myself and Keith along to the trip. Five of us packed into the Toyota Corolla Saturday morning and drove to Watsons Way Backpackers in Renwick. If you’re looking for a cheap place to stay around wine country this place was great–clean, small, hammocks and bikes for rent. We ended up renting bikes from “Wine Tours by Bike”–they helped us plan our itinerary and gave us lot of recommendations throughout the area. 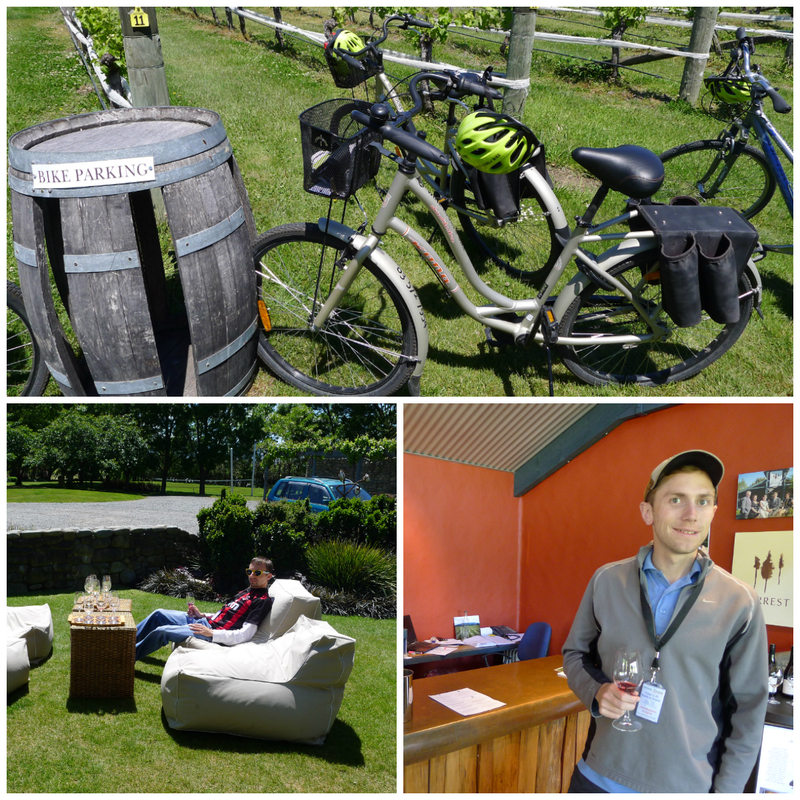 After getting settled with our bikes, we headed out to Forrest Winery (great Sauvignon Blanc…although that doesn’t mean much in Marlborough where everyone seems to have an amazing Sauvignon Blanc). For lunch we went to Wairau River. I wasn’t a huge fan of their wine or food, but the setting was gorgeous. Gave us a good opportunity to take a group TT photo with our perfectly different colored wines. We then headed across the street to Nautilus. I loved this wine and their manager of the day. 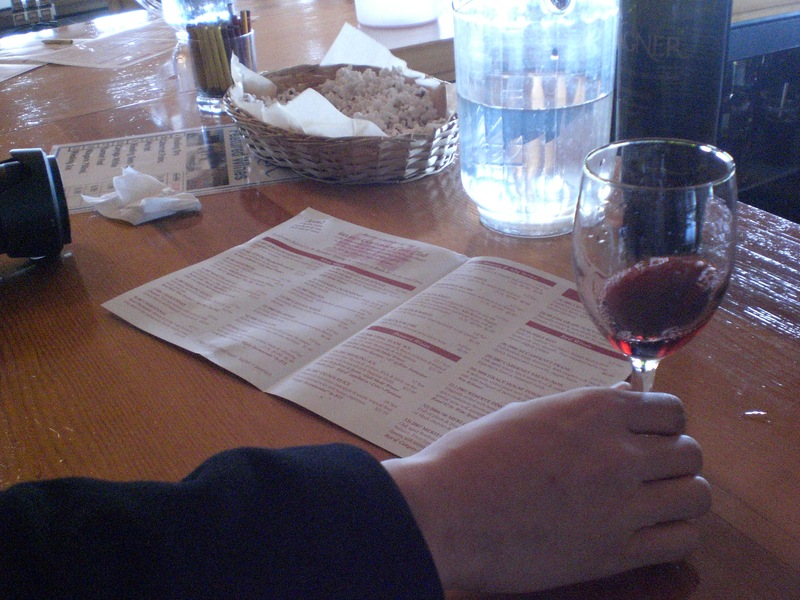 The person behind the counter really makes a difference on the wine-tasting experience! Where to next? Ah yes, Eradus! Eradus is owned by a lovely Dutch family and they had some great pinot noir–one of my New Zealand favorites. At this time we realized we could probably sneak in another place before our last stop; therefore, we made an unexpected stop at No1 for some classy sparkling wine. 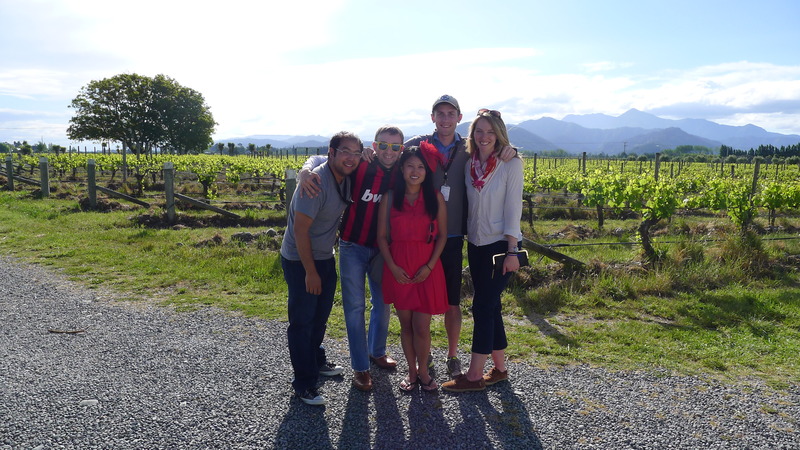 Our last stop was our first and only organic vineyard–Huia. We were told we were the first visitors of the day (at 4:30pm!). I have yet to make it to Napa; but after going on so many laid back New Zealand wine tours where I’m used to being a part of the only group in the cellar door, I don’t think I’d like the crowded hustle and bustle of Napa. After our tour we headed to Dodson Street for pre-dinner drinks (because wine touring wasn’t enough?…). Dinner…was at GRAMADOS. I capitalize because it was so good. Why is this place in Blenheim!? It needs to be in Christchurch–closer to me. All of us ended up ordering different dishes, they were all great. I can easily say it was the best meal, and dining experience, I’ve had in New Zealand. Part way through our meal, the owner (Saulo), came over and asked if we liked spices. He came back, sat down at the table with us, and laid out an assortment of spices for us to try with our meal. Later he got us a bottle of his favorite beer to taste. THEN, at the end of the night he came over and asked if we wanted dessert. Because we were all stuffed we said no, but he brought some over anyways on the house. Maybe it’s because I’ve been so used to the lack of service in New Zealand (it lacks a bit compared to the US since you don’t tip here, or at least I assume that is the reasoning), but I was blown away by this place. I highly recommend it to anyone who randomly ends up in Blenheim in their life and wants a bit of Brazilian flare in New Zealand. Sunday morning we went to Cloudy Bay. Cloudy Bay is basically the vineyard founder of Marlborough–one of the first wineries to put New Zealand on the international wine map. With an owner like Louis Vouttin, I guess that’s normal! If/when I come back to the Marlborough wine region, I would seriously stay here all day. There’s a lovely outdoor space with raw bar, and tree swings. I sat down in a swing and wanted to swing all day. After Cloudy Bay we made an unexpected stop to Moa Brewery, where our bartender was a Kiwi from Seattle. The brewery was a fun detour off the wine path. 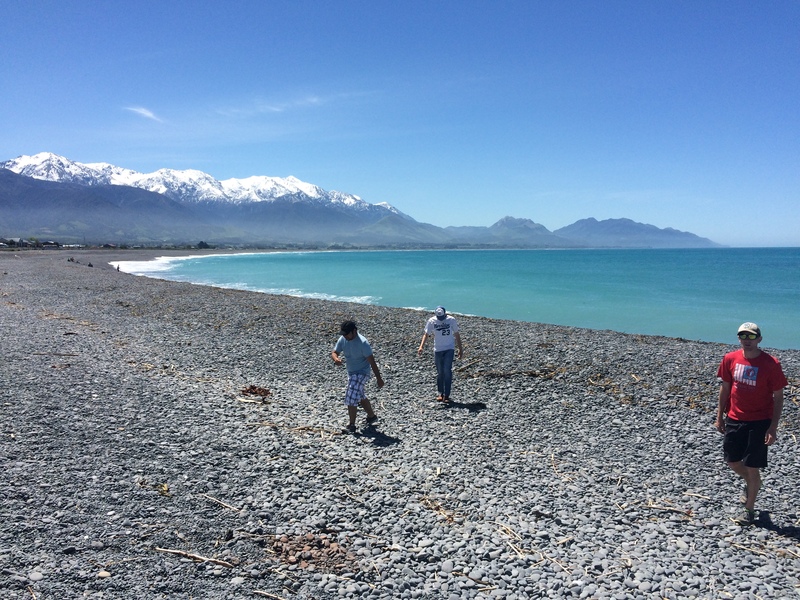 Then we were on our way back to Christchurch. Not without a typical epic looking pit stop–starting to become the normal on weekend road trips like these. Over the next few days I’ll be collecting my Routeburn track photos together and gathering some from my companions. It involved a lot of varying temperatures and precipitation which just made for a very epic time. Until then! 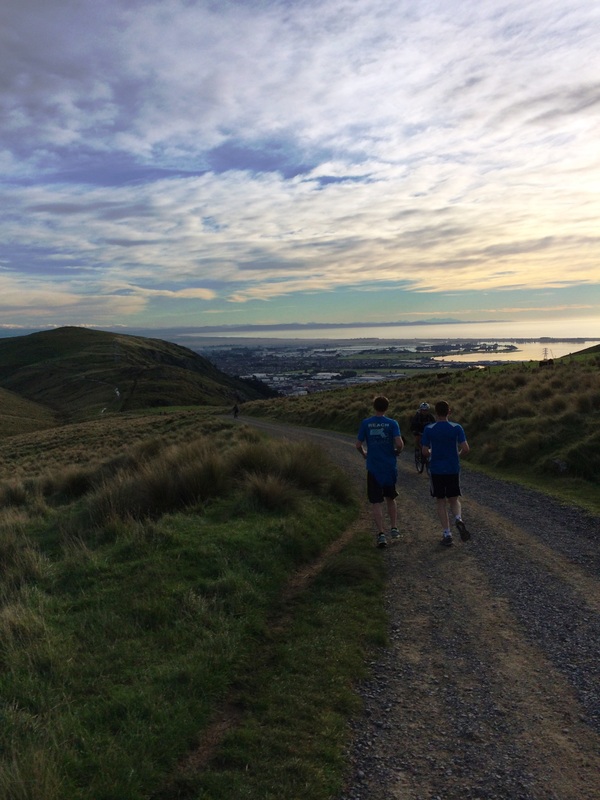 Flanders in NZ 11 – Happy 4th of July! I can’t believe we’re already coming up on 3 months, it’s gone by a lot quicker this time around! We’re currently attempting to finalize our schedule for a vacation trip home and figuring out how long we’ll be here. Just in case you didn’t know…the whole world doesn’t celebrate 4th of July. So I had to work on Friday but planned to stop a bit early for an office BBQ in the parking lot. Keith chose to celebrate by baking up a storm and bringing a homemade apple pie and cupcakes to his office. He signed the treats “Happy 4th of July! – The American.” I’m not sure what got into my husband, but since landing on New Zealand soil he is a baking aficionado. New Zealand (and most commonwealth countries) don’t sell fireworks until around 5 November (Guy Fawkes Night), so poppers from Warehouse had to do for the time being. I attempted to get creative and throw some streamers and tissue paper throughout the office using hard hats as bases… Don’t think I’ll be leaving engineering for interior design anytime soon. On Saturday, Keith and I planned our trip to Abel Tasman with one of my coworkers. Hostel, boat, hut…booked – CHECK! More photos of this to come. Afterwards we needed to get out and enjoy the weather so off to the Riccarton Farmers Market we went. Afterwards we continued our walk over to downtown and checked out Cathedral Square (or what’s left of it). After a long battle versus the community, the Cathedral has been slated for demolition. If you overlook the fact that the front gable has collapsed, it is a beautiful church. Related to this, Keith and I decided to watch the Hope & Wire miniseries that just premiered in New Zealand. I’m not sure if you can watch it in the States, but if so, it can be found here. 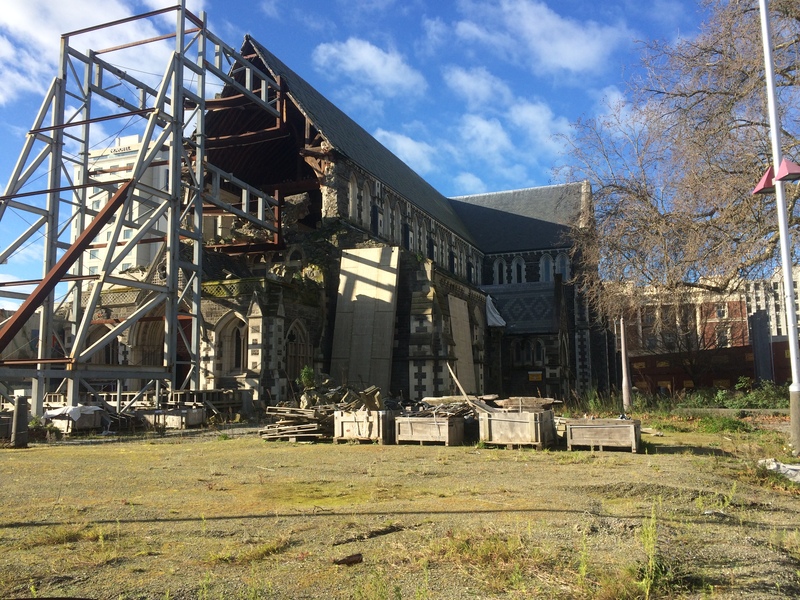 The miniseries follows fictional families throughout the Christchurch earthquake events and shares their stories and actual news video footage. I’m not going to lie, it was a little tough to watch and I wasn’t even here when the quakes began. The reviews are a little harsh and I can see why. One critic writes “I had to quickly hit pause through blurry eyes as I felt tears running down my face.” However, it does share a bit of what happened here through an easy medium. If you want to learn more about why Keith & I are here on a more personal/community level, I would encourage you to watch. 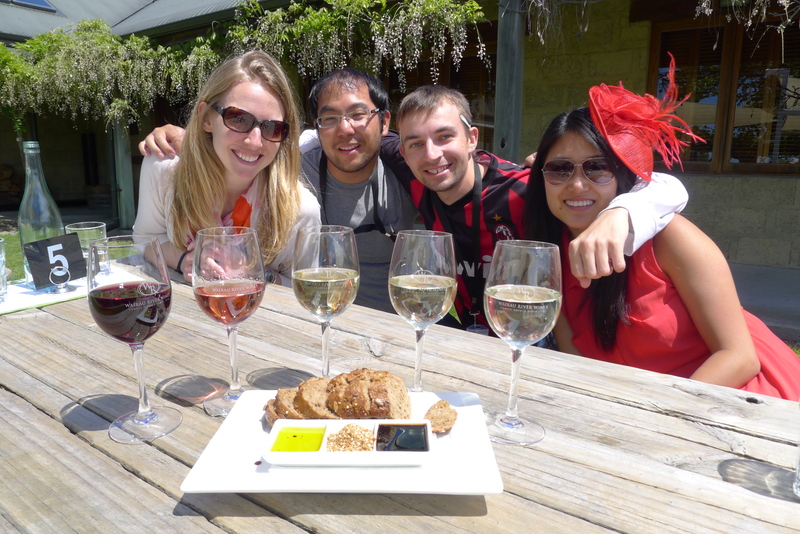 On a more fun side, a few of us drove to Waipara Sunday for a fun wine tour! Keith agreed to drive and we had a great time meandering to five different wineries and grabbing lunch. 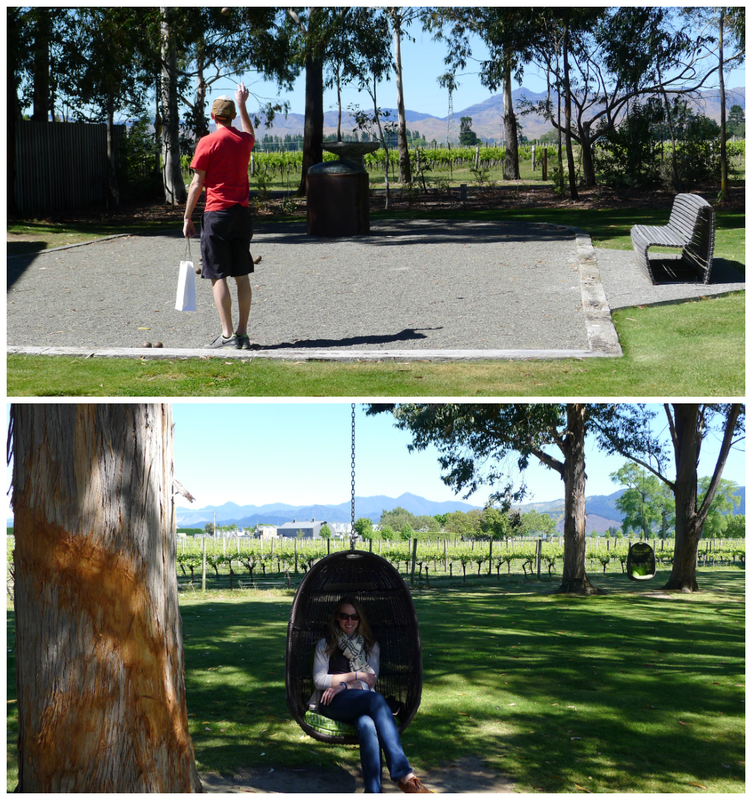 Wineries visited included Torlesse, Waipara Springs, Black Estate, Terrace Edge, and Waipara Hills. We came home with a haul of 9 bottles of wine and a bottle of fresh olive oil! Looking forward to trying some of them again, and (fingers crossed) saving them for 1-2 years down the road. We’ll be on a fun adventure this weekend, so looking forward to sharing some new photos next week! Last time I was in Christchurch Mexican food didn’t really exist or at least good Mexican food. All of a sudden the Mexican food bubble burst and taco trucks have over taken Christchurch. This is currently seen as a “fad.” We were even videotaped by a camera crew a couple of times when visiting different trucks for lunch. It is currently our mission as Americans to teach the good people of Christchurch that this isn’t a “fad” it should just be a “thing.” The week started off with typical Taco Tuesday at the new Tommys Tacos truck. After realizing there was much more to see and taste in the world of Christchurch taco trucks, Taco Friday happened and led us to Locos texmex truck, and then on Saturday several of us went to see the Lego Movie (in which tacos are discussed several times), therefore, we felt the need to check out Mamacitas taco truck for lunch afterwards. My personal fav. Is Locos, but there are things the other 2 trucks do well that could probably combined into one epic super taco truck. I’ll leave the city of Christchurch to figure that out for themselves. What else happened this week? Saturday afternoon we disbanded after another successful taco truck outing and Keith & I just couldn’t go back to our flat. The weather was gorgeous so we drove out to suburbia Christchurch wine country. The first, and my favorite, local winery (Melton Estate) was booked for a wedding (it is constantly booked–one of the many annoying things about having your city’s wedding venues destroyed by earthquakes…). Not wanting to head all the way back, we drove over to Sandihurst winery. Keith, like I was the first time I went here, was confused by the lack of parking and signage and continually asked “are you sure it’s open?”…”Is this the right place?” As soon as we entered the cellar door and shuffled around a bit, the owner appeared ready to give us a free tasting. I have to highly recommend the True & Daring dry Riesling (unfortunately only exported to California!). Saturday night was spent baking a rhubarb cake to utilize all the garden-fresh rhubarb that one of our guests brought over for our Flat Warming Fiesta. I think I keep baking because I’m just so excited we have a giant kitchen… (again, how did I live in motel for 6 months!?). Recipe here. 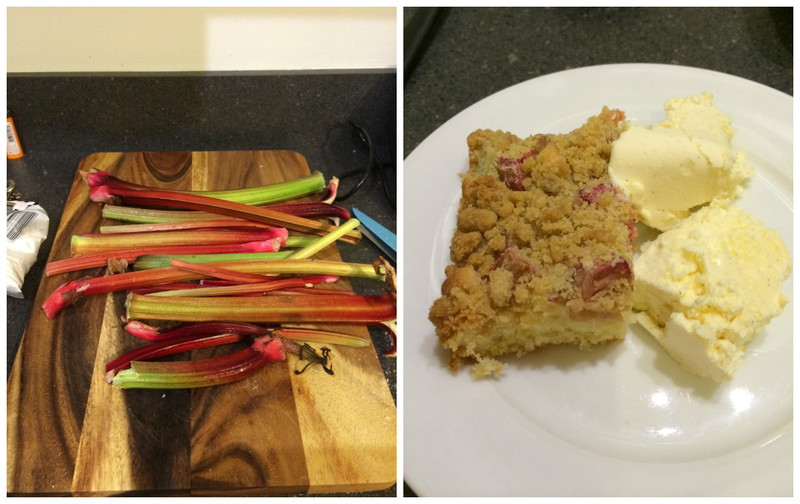 Garden fresh Rhubarb Cake, yum! 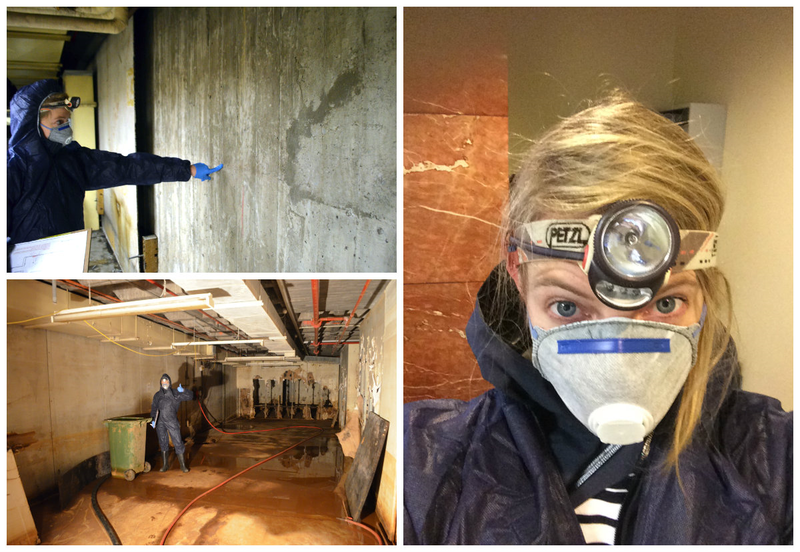 Per usual, the work week thus far has been filled with site visits, analysis, and reports. Wednesday included another fun visit to a bunny-suits-required location. I’ll leave you with my throwback thursday photo from this post 2 years ago, compared with my site visit photos from this week. Enjoy… more to come from some fun activities Keith planned for this upcoming weekend! Ithaca is situated within the Finger Lakes Region. 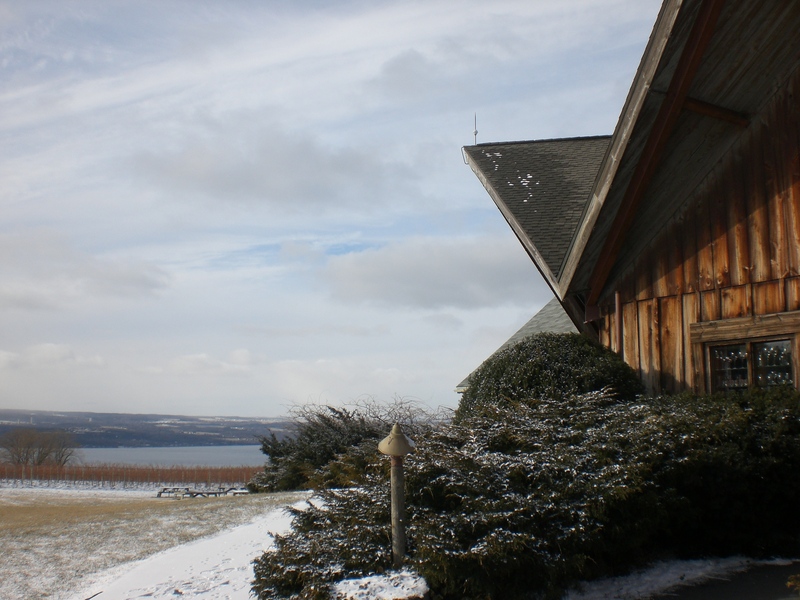 The Finger Lakes Region has its fair share of wineries. When I say a fair share, it’s a pretty lot of fair shares. Wagner Vineyard Wine Guy- So where are you two from? Wagner Vineyard Wine Guy- Ohhhhh, so you’re together? …it was a pretty nice chance to get away from the college town for a bit. I think sometime Chenny and I get pretty tired of explaining to people that it’s not weird to live with a different gendered person…and not be in a relationship. Maybe we’re the only ones who think this way, who knows. This was probably our 10+ encounter with this situation. Personally, my favorite encounter was when one of my project peers found out that we were NOT in fact dating, and her response was “Really? Jen, I just took you for a person who was all about diversity or something!” Oh well…sorry Chenny, I’m an awful wing-woman apparently. 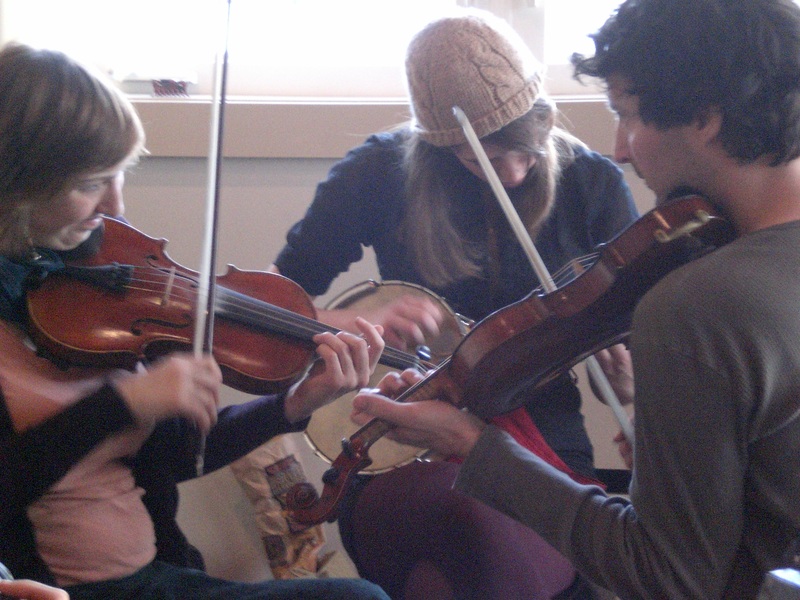 Now that I’m through with that tangent, some pictures.